We’ve all been there, we log into MOZ monthly — ok, if we’re being honest, hourly — to see if our DA, or Domain Authority, has increased only to be disappointed when the number hasn’t changed in months. In fact, it is pretty common to have your DA sit in the in the early 30s and seemingly never move. At that point, most bloggers go on a link building frenzy where they trade and swap links with other bloggers, returning to MOZ a month later only to throw their hands up in frustration because their DA is the same. That leaves us asking the question what is Domain Authority, how do I increase it, and if you need to focus on increasing it at all. This post has been edited regarding MOZ’s recent update on March 5th. Read more under What Factors Go Into Scoring a DA, Including MOZs 2019 Update. 1 What is Domain Authority? 4 Where is my DA used? 5 What is a Good DA? 6 What Factors Go Into Scoring a DA, Including MOZ’s 2019 Update? 7 Does Google Care About Link Building as Much as MOZ? 8 I’ve Secured Dozens of Links Back from Sites with Higher DAs Why Isn’t My DA Growing? How Long Until I See Results. 9 My DA Hasn’t Moved, I am Never Going to Reach Page One! 10 When is Knowing and Increasing your DA Helpful? 11 I Still Want to Increase My MOZ DA Number, What Are Successful Link Building Strategies? 12 MOZ Only Let’s Me See Some Links with the Free Version. How Else Can I see Who Links to Me? 13 In Addition to Link Building, What Else Should I Focus On? DA stands for Domain Authority, which is a concept and term created and coined by a company called MOZ. This term is widely recognized by bloggers and third-party tools, such as Keysearch, as an indicator of how much authority your website has. Basically, it looks at how many root domains link back to your website. A.K.A, are you a reliable blogger who is trusted enough for people to link back to you for valued information. It is scored on a scale of 0-100. Generally speaking, if you have a higher DA you are more likely to rank higher in search engine results page, or SERP, than someone with a lower DA. Which means that if you have a lower DA you are more likely to lose potential traffic and it might benefit you to increase your DA which could correlate to increase in traffic. However, MOZ is not Google and Google is not MOZ and that is very important to remember. DA was created by MOZ to predict where you might rank in the eyes of Google and other search engines. Overall, MOZ does a pretty good job implementing some of Google’s 200+ ranking factors into their own algorithm, but they aren’t perfect. It is important to note that Google has its own set of factors to determine where you show up on web search, and at the end of the day it matters how Google ranks you. Google’s John Mueller confirmed that DA was created by MOZ and not something they use in a witty remark. 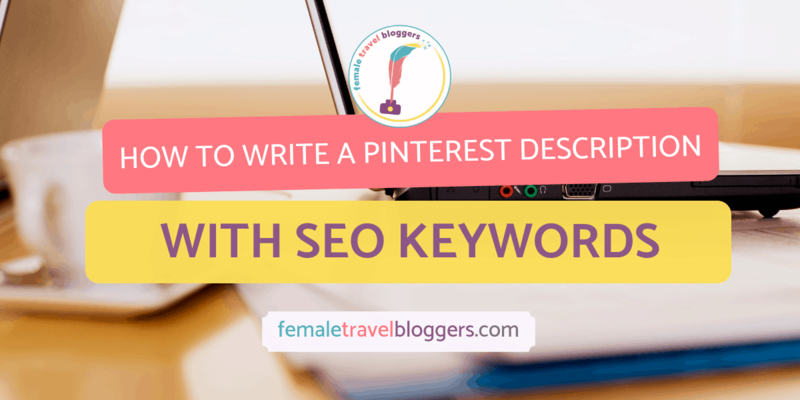 We’re going to cover strategic ways to improve your DA and overall authority with Google, but I first want to go over some of the most common questions and concerns asked in our group Female Travel Bloggers regarding your DA. Since DA was created by MOZ you can head over to MOZ Link Explorer and check your DA. Being the clever little devils they are they created an entire keyword ranking and link exploring tool to help you delve deeper, however it costs you. To avoid this cost, you can sign up for a free MOZ account and you are able to check your DA or the DA of other sites 10x a month for free, which is just enough to check your DA once a month and do some snooping for link swapping. If you’re digging into Domain Authority you might have come across the term PA or Page Authority. Page Authority is the same as domain authority, but it relates to a specific page on your website. 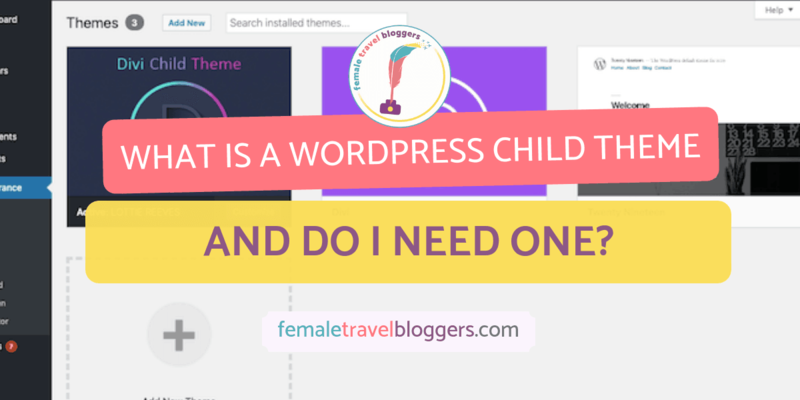 So, Choosing a WordPress Theme and How to Speed up Your WordPress Website can have different page authorities, but the domain Female Travel Bloggers is what we refer to when we look up Domain Authority. They are calculated in the same way, using similar algorithms provided by MOZ. Generally speaking DA, rather than PA is used as the industry standard for ranking. So, for example, if you want to include your authority on your media kit, put your DA not a specific page’s PA. Even though DA is what people use to rank their site it is important to focus on both and create strong internal links on your own website transferring page authority from strong pages on your site to weaker pages. It is also valuable to generate links to related posts during link swaps rather than just always linking back to your home page. Where is my DA used? Your DA is used in a variety of things related to ranking and position of your website. For example, our favorite keyword ranking tool, Keysearch uses DA to help determine how tough your competition is at a certain keyword. A higher DA might be harder to compete with. It is also used in blogging groups, such as FTB, for link swapping purposes as a strategy to grow your DA. What is a Good DA? A lot of mid-range bloggers sit in the zone between 25 and 30. Most of the bigger bloggers you know and look up to probably have a DA closer to 40. If your DA is lower than 25, it might benefit you to get that number up and an increase in traffic may follow. What Factors Go Into Scoring a DA, Including MOZ’s 2019 Update? MOZ’s ranking system has a place in helping you understand where you might sit with search engines, but they focus on a limited number of factors to determine this. The factor, that goes into ranking your DA that MOZ is most public about is building root domains. Meaning, the more domains that link back to your website the better your score will be. They then casually mention that dozens of factors go into making their algorithm before AGAIN emphasizing that link building is one of the best things you can do to influence your DA. Link building is an important part of growing your MOZ DA score, but it is not the only thing. On March 5, 2019, MOZ launched a totally new algorithm, which is supposed to better represent and respond to the changes in Google and reflect where your website ranks more accurately. A lot of people are pretty happy about the new update, including me whose DA went up 10 points with the new change, BUT if you read MOZ’s website about what is new, they still mention links A LOT, they’ve just added some new factors they don’t mention and talk different ways they rank a linking system. Some notable changes are the way they handle spam scores and manipulated links, which means that MOZ is better at finding shady people who are buying or using link building in an unethical way. It will also downrank links that are spam, meaning it is important to check for spam links and disavow them. Overall it seems that MOZ is still prioritizing link building along with a few other factors, but the number is more relaiable and trustworthy. I do suspect that we will see a better cooralation between MOZ and SERPs. Does Google Care About Link Building as Much as MOZ? Not as much as MOZ. In fact, Google uses over 200 ranking factors in their algorithm, some of them are secret, some of them are well known, and others are educated guesses made by SEO fanatics. While link building IS a factor Google uses to determine where you rank in their search engines, it is nowhere near as important as MOZ makes it out to be. Google also claims to not use any type of Domain Authority ranking system. I have to agree with John, I think MOZ has caused too many bloggers to hyper-focus on getting links back to their site, thus causing them to lose focus on other factors that can help them rank on page one. Key Takeaway: Quality link building is a way to directly influence your MOZ score and to increase your Domain Authority. It is also known to be a factor in the Google algorithm. However, Google has made public statements saying people focus too much on link building and it is just one of the hundreds of factors they use to determine your authority and where you show up in SERP. I’ve Secured Dozens of Links Back from Sites with Higher DAs Why Isn’t My DA Growing? How Long Until I See Results. So you’re probably thinking, if MOZ cares so much about link building why haven’t I seen my score increase in months, even though I’ve done 2 guest posts and 10 collabs. Well, there are a few possible reasons for this. You’re checking too soon: MOZ updates monthly, but it can take up to three months before MOZ registers a certain link. You didn’t get follow links. Root domains that link back to you only boost your DA if they are do-follow links. Do-follow links push authority from one site or page to another. Without it, authority is not moving. For more information on links, including follow and no-follow links read my post, here. MOZ score is ranked on a 100 point logarithmic scale. Meaning that it is much easier to go from 0-20 than it is from 80-100. So, the higher you get the harder it is to increase. That is why a lot of bloggers get stuck between 20-40 and hardly move. Your site is still new. A brand new website doesn’t have much authority in the eyes of Google or MOZ, which is often why sites that are under a year old have a harder time increasing their DA or ranking. Set yourself up for success in your first year and the rest will follow with time and hard work. Some of the links were from the same source. Focus on diverse root domains to boost your DA. Other websites have increased or decreased affecting your ranking. If you are still incredibly frustrated that your links aren’t showing up in MOZ, make sure you check Search Console, which is often a much more timely and accurate way to see if the guest post you did gave you a do-follow link. My DA Hasn’t Moved, I am Never Going to Reach Page One! Worry not, if you’ve only been working on building links to increase your DA and you haven’t seen an increase in traffic or ranking in search engine results, it is time to rethink your strategy. Focus on meaningful links from a variety of root domains that will help you build relationships and generate traffic related to your niche AND focus on SEO best practices to see an increase in your ranking. Time for a reality check: stop focusing so much on MOZ’s number and start focusing your energy on SEO best practices so you can rank better in the eyes of Google and reach page one. My MOZ DA score hasn’t changed in nearly 6 months because I’ve hardly focused on link building. However, by focusing my energy on best practices for SEO I’ve been able to increase my pageviews by 6k in a 60 day period and 8.8k compared to the same month last year. I was also able to increase my sessions by 5k in a 60 day period and had a 6.8k increase compared to December 2017. I also landed several new posts on page one. All with a DA 25. We have enough things to worry about as bloggers, don’t let the DA stress you out to much. Every time you’re tempted to check your DA I challenge to spend 30 minutes optimizing your blog. When is Knowing and Increasing your DA Helpful? Knowing your DA and increasing it can be helpful when implemented with a well-rounded strategy. When doing keyword research on Keysearch, I find the ability to know someone’s DA quite helpful. Typically speaking, those that are in position one on Google tend to have a higher DA than those below. So, if I want to rank for a certain keyword and all the sites that are on page one of Google have a DA significantly higher than me, I might rethink targeting that keyword and try a different variation. There are times when travel blogs with lower DA can outrank a higher DA, I’ve done it with the magic of hard work, understanding my audience and creating helpful and meaningful content, so I don’t use it as a deterrent – if I think I can rank for a keyword I am an expert in I might go for it- but I do use it as an element to rethink my strategy and may often target different keywords than higher ranking websites. I Still Want to Increase My MOZ DA Number, What Are Successful Link Building Strategies? Since MOZ is very vocal about gaining new meaningful links to your site as one way to grow your DA, here are some suggestions for link building. Organically. You’re going to hate me for saying this, BUT both MOZ and Google say the single best way to gain links is organically. Meaning that if someone loves your site so much they naturally want to link back to you, that is ideal. 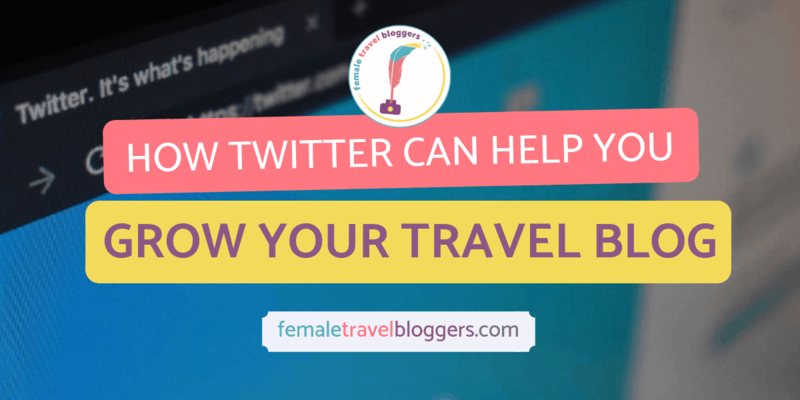 However, we know that can be difficult for travel bloggers. The times I have linked to another blogger, without participating in a link building strategy is when I’ve written about a place like Budapest covering a specific niche (Hipster guides) I don’t ever plan on writing a full guide to Budapest since that isn’t in my niche, so I found a local blogger to link back to their Budapest guide. It helps to build relationships with people who write about similar content in a different way and when they create content they will think of you. Link Swapping. When you’re struggling to get organic links, you can also participate in link swapping. 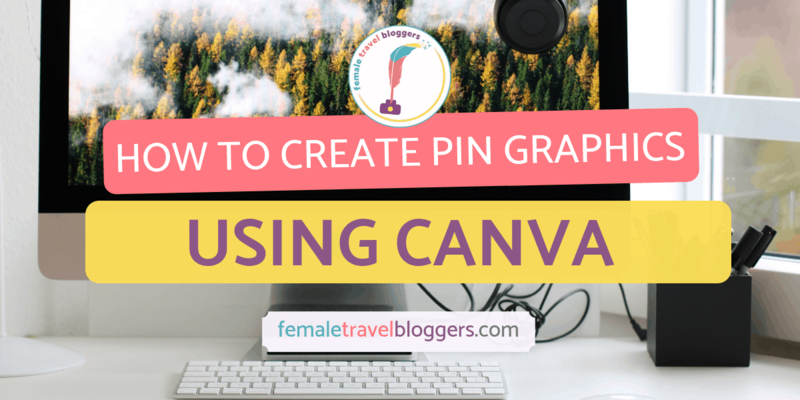 When doing this ensure you are swapping for do-follow links, you’re not both linking to the same post, consider a 3-way swap among 3 bloggers and look for people with a higher DA to swap with. Always ensure links are related and on topic. Obviously, you can’t always link swap with accounts who have a higher DA than yours, so the key is often to swap with content that is as closely related to your niche or post topic as possible so reader’s find value in all posts. Try and swap with new domains that you haven’t swapped with before. Internal linking. Create fantastic cornerstone content for your site and use internal links to generate a flow of SEO juice to boost your page Authority and overall Domain authority. Guest Posting. Writing a full guest post for someone is one of the best ways you can get a quality do-follow link back to your site. Collabs. Collabs are a good start, but you’re sharing DA juice with everyone else in the collab. Meaning that the more links there are in one post the less link juice everyone gets. If a DA 50 site hosts a guest post with 20 submissions, all 20 people get a piece of the pie, but not the whole thing. MOZ Only Let’s Me See Some Links with the Free Version. How Else Can I see Who Links to Me? Thankfully Google has updated its Google Search Console in 2019 and there is a fantastic link section. You can get in-depth analytics and look at who links to your content and what keywords they are using to link to you. It is a great way to more accurately analyze your link and develop a smart strategy to bring in new root domains and find out which links are spammy. Read more about this in my in-depth guide to Google’s New Search Console in 2019. In Addition to Link Building, What Else Should I Focus On? MOZ has indicated they did their best to replicated Google’s algorithm, so if you focus on SEO best practices you’ll see an increase in traffic and your MOZ DA score might also rise. Create Cornerstone Content: the backbone if your site. The articles where you put your best foot forward on a topic you are an expert in that you can then use to rank for and use internal links to boost your SEO. On page elements, such as writing helpful and meaningful content, site speed, inserting the right keywords in all the right places, indexing, valuable content. Off-page elements such as security, accessibility, external links, and keeping your spam score low. For more information, check out these 200 ranking factors believed to be used by Google to determine their own authority of your site. If you’re a numbers person and love that MOZ gives you a number and the possibility to increase your DA, might I suggest checking out Google’s new version of Lighthouse https://web.dev where you can test your site for SEO, accessibility, performance and best practices. It also helps coach you through how to fix these things on your site. At the end of the day if you work on these four things you are going to see an improvement in your traffic and SERP whether or not your DA is increasing or not. DA stands for domain authority and is a concept created by MOZ to help users understand where they can rank in SERP and to predict elements of Google’s algorithm. MOZ uses dozens of factors to create their algorithm, including link building. Meaningful link building is helpful, but not the only way to increase your DA. DA is helpful when strategizing what keywords to target and who your competition is. Google thinks people focus too much on link building and you should really be using Google’s overall SEO best practices, which includes link building, in order to see a major impact in your traffic and search engine ranking. If your DA is stuck at 25 or 35, don’t stress too much. It is harder to grow the higher you get and links can take a while to register on MOZ. Make sure you are also using Search Console to review your links. Great insightful article. I have a good DA but low page views, which I don’t quite understand. My goal this year is to build better cornerstone content on my blog. That sounds like a great strategy. If your DA is good it sounds like you should be publishing more content maybe 1-2 times a week and really making sure you are targeting smart keywords for your cornerstone content and things will really start to fall into place. My DA is just one factor I check and track monthly, along with page views, followers on social media and bounce rate. In my mind it’s helpful to know what your DA is and work to improve it, since that will also increase traffic to your site, but you don’t need to obsess over it. 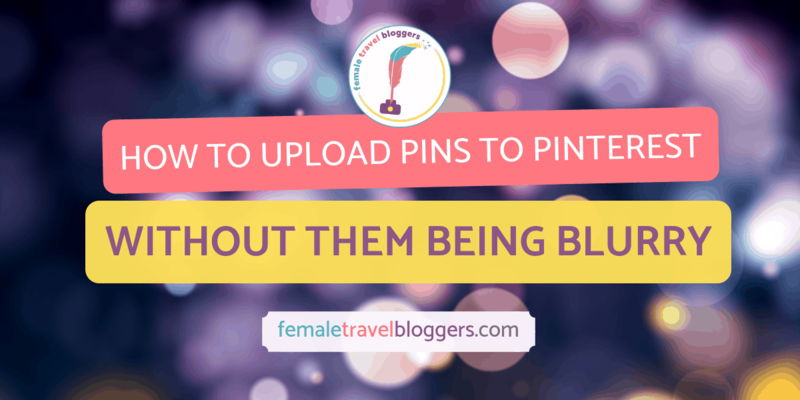 Like with many things in blogging, it’s a slow and steady race! Thanks for the comprehensive run-down on domain authority! Yeah we always prioritizing using Google Search Console to see how we rank in regards to room domains and what search terms people are using to find our content but knowing the DA does help you scope our your competition when it comes to ranking. Having a well-rounded strategy as you mentioned is essential to increasing your SERP results. Thanks for this post- I was all finding it so confusing- cleared a few things up! This is such good advise. When I first learned about DA I had no idea what an important piece of blogging it was. Now that I fully understand it and have worked hard to increase mine I am seeing the results! It just takes time. We’re so glad we helped you understand the concept of Domain Authority and how it relates to your travel blog a bit more. Well, this takes some mystery out of DA. Mine is at a satisfactory level based on what I’ve seen from other travel bloggers. I’m actually very satisfied with what Google has to say about link building and DA. In my blog, I want to focus on improving my writing and photography. I prefer organic vs planned. I don’t want my blog to stress me out. I started it for fun and I want it to remain that. This is SUCH a healthy outlook on blogging. We should all love blogging whether it is a hobby or a job and writing content you love for an audience who appreciates that regardless of SEO is valuable and really what Google appreciates the most! Thanks for this super thorough and informative post! I think that there is so much stress and misunderstanding around DA but your guide breaks it all down really well! Let’s see what happens with the Moz update. Yeah, there is a lot of misinformation out there! I think the new MOZ update will be better, but I still think it is important to rely on Google Search Console and their tools as much as possible and not get too sucked into 3rd party money making traps. Thanks for breaking this down! I was really worried about my DA at first but itb doesn’t seem like something you can fast track! Nor is growing your MOZ DA score something you should stress over to much. Nor is growing your MOZ DA score something you should stress over too much. Which is why we suggested in the post not to focus on it too much and create a well rounded strategy for increasing your overall search presence. So glad you found this helpful. Make sure you round our your link building strategy with other SEO essentials like keyword strategies, site speed and creating good content to ensure you are increasing your authority. Really great tips on DA! I particularly like that it was stated to prioritize good SEO practices before link swapping. I have to imagine that a successful site is going to be built on quality content and good SEO practices. Exactly, so many people focus on link building for an increase in Domain Authority and ignore many other best practices! Hi – sorry, this may be a dumb question but does traffic influence DA or is it the other way around? The reason I’m asking is because I’m trying to focus on increasing my traffic right now. Will this increase my DA over time? Alternatively, would it be smarter to work on link building and increasing my DA because that will indirectly increase my traffic? Traffic does not influence DA. As per the post, the most influential factor in DA is link building. The way to increase your traffic is a combination of SEO strategies that go far beyond just link building, such as targeting the right keywords in your niche to rank on page one. DA is not a factor search engines use and why there is some correlation between higher DAs ranking higher on page one that is not always the case. I had no idea that there was a new MOZ update! Checked now and I’m happy with the result – but I’ll keep in mind your tips so it will grow soon! That is awesome your DA increase! Make sure you focus on general SEO and you’ll keep seeing that number increase.